Keith Karnes is a Salem, Oregon attorney who offers help to individuals and small businesses with financial challenges. Our firm offers bankruptcy assistance as well as loan workouts, tax settlements, foreclosure defense and consumer litigation. We offer free consultations and emergency bankruptcy filings. We provide immediate help to stop garnishments, foreclosures, and bank levies, which give you time to work out your financial situation. Many people choose to file bankruptcy because it provides certainty in dealing with debt problems. You can retain our office for $100 and then refer your creditors to us. This will stop all phone calls and most other collection attempts until you file bankruptcy. Bankruptcy can give you a fresh start, let you catch up on missed mortgage payments, reduce the interest rate on your car loans, and repay taxes without penalties or interest. In most cases you can keep all of your assets. We will be with you each step of the way, discussing all of your options, determining the best course of action, and completing the process to solve your financial matters. We will advocate for you before, during and after bankruptcy. We will provide a free pre-bankruptcy consultation to advise you of your options, represent you in court to protect you and your business, insure your creditors respect your discharge and help you rebuild your credit. Unique to our firm, we offer more than bankruptcy. When bankruptcy is not the answer, we provide other ways to solve your financial difficulties. We can stop foreclosures, provide loan workouts with your creditors, stop garnishments and negotiate tax deals with the IRS. In many cases, this eliminates the need to file for bankruptcy. We also represent consumers. If you are the victim of collection harassment, incorrect credit reporting, or identity theft we can help. In most instances we are able to recover our attorney's fees from the defendant, meaning we can provide you with quality legal representation with little or no cost to you. Call us for a free full length consultation. Keith Karnes is an attorney with more than a decade of experience in dealing with financial problems for his clients. He is a popular speaker at Continuing Legal Education seminars, where he trains other attorneys. He is recognized as an expert in bankruptcy and consumer law and is a frequent author on bankruptcy and financial topics. He is reviewed by his peers and clients as one of Oregon's top attorneys. Keith handles bankruptcy cases and complex business and farm reorganizations. He also litigates collection issues in federal, state and bankruptcy court. Keith can help you resolve your financial matters because of his expertise and experience. Call for a free full length consultation. Keith Karnes is an attorney with over a decade of experience resolving financial challenges for his clients. He represents individuals and small businesses in bankruptcy, loan workouts, tax settlements, foreclosure defense, and consumer litigation. He handles cases ranging from multi-million dollar reorganizations to simple no asset bankruptcy cases. Keith has lectured extensively on bankruptcy, foreclosure, and consumer litigation. He has spoken multiple times at the Northwest Bankruptcy Institute, Oregon State Bar Debtor-Creditor Annual Meeting, State of Oregon Hope for Homeowners, National Association of Consumer Advocates Foreclosure trainings and other local organizations. Keith has trained attorneys, housing counselors, and other professionals. Keith has authored many articles on a variety of topics. These include the Fair Debt Collection chapter of the Consumer Law manual published by the Oregon State Bar and legislative updates for the Oregon State Bar. He has also published articles on collection harassment, bankruptcy, and similar topics. Keith has served on several committees and work groups that relate to his practice. He is past chair of the Consumer Law Section of the Oregon State Bar and is currently serving on the Executive Committees of the Consumer Law Section and Debtor-Creditor Sections of the Oregon State Bar. He has volunteered as the chair of the legislative committee of the Consumer Law Section and has also served on the Governor's Foreclosure Prevention Workgroup and other consumer related workgroups. Keith has successfully tried cases in Bankruptcy Court in Oregon and Washington, Federal District Court and the Circuit Courts in Oregon. Keith is admitted to practice in Oregon State Courts; Washington State Courts; Oregon and Washington Federal District Courts; Oregon and Washington Bankruptcy Courts; Ninth Circuit Court of Appeals and the United States Supreme Court. Keith Karnes is an attorney with over a decade of experience resolving financial challenges for his clients. He represents individuals and small businesses in bankruptcy, loan workouts, tax settlements, foreclosure defense, and consumer litigation. He handles cases ranging from multi-million dollar reorganizations to simple no asset bankruptcy cases. Keith has lectured extensively on bankruptcy, foreclosure, and consumer litigation. He has spoken multiple times at the Northwest Bankruptcy Institute, Oregon State Bar Debtor-Creditor Annual Meeting, State of Oregon Hope for Homeowners, National Association of Consumer Advocates Foreclosure trainings and other local organizations. Keith has trained attorneys, housing counselors, and other professionals. Keith has authored many articles on a variety of topics. These include the Fair Debt Collection chapter of the Consumer Law manual published by the Oregon State Bar and legislative updates for the Oregon State Bar. He has also published articles on collection harassment, bankruptcy, and similar topics. Keith has served on several committees and work groups that relate to his practice. 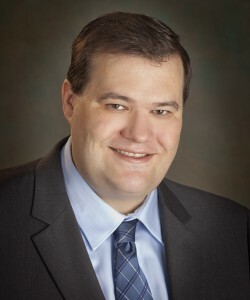 He is past chair of the Consumer Law Section of the Oregon State Bar and is currently serving on the Executive Committees of the Consumer Law Section and Debtor-Creditor Sections of the Oregon State Bar. He has volunteered as the chair of the legislative committee of the Consumer Law Section and has also served on the Governor's Foreclosure Prevention Workgroup and other consumer related workgroups. Keith has successfully tried cases in Bankruptcy Court in Oregon and Washington, Federal District Court and the Circuit Courts in Oregon. Keith is admitted to practice in Oregon State Courts; Washington State Courts; Oregon and Washington Federal District Courts; Oregon and Washington Bankruptcy Courts; Ninth Circuit Court of Appeals and the United States Supreme Court.